In “Gods of Egypt,” the survival of mankind hangs in the balance as an unexpected mortal hero Bek (Brenton Thwaites) undertakes a thrilling journey to save the world and rescue his true love. In order to succeed, he must enlist the help of the powerful god Horus (Nikolaj Coster-Waldau) in an unlikely alliance against Set (Gerard Butler), the merciless god of darkness, who has usurped Egypt’s throne, plunging the once peaceful and prosperous empire into chaos and conflict. As their breathtaking battle against Set and his henchmen takes them into the afterlife and across the heavens, both god and mortal must pass tests of courage and sacrifice if they hope to prevail in the spectacular final confrontation. Horus in mythology is known as the Lord of the Air. While his ego is initially inflated by his status as a god, through his association with Bek, Horus slowly learns to respect mortals, and even develops a liking of them. It’s a change of heart he’ll need if he’s going to avenge the death of his father Osiris and retake the throne from the usurper Set. Horus’ deity is a winged and armored form with a falcon-shaped head. His power resides in his eyes. 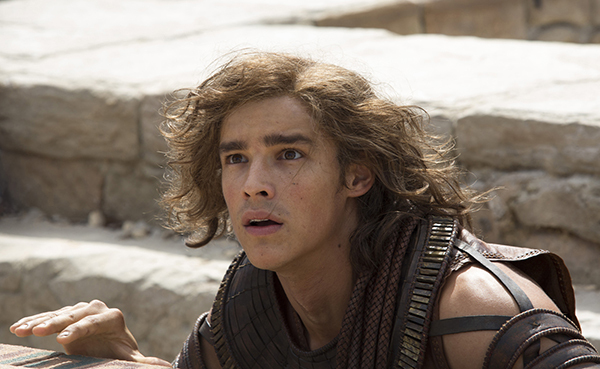 One of today’s fast-rising actors, Brenton Thwaites, stars as Bek, a mortal who is affably mischievous. Bek comes from modest beginnings and has little to offer the woman he loves, Zaya (Eaton), aside from his heart. Having lost faith in the gods, Bek relies on his own zeal and ingenuity to make his way in life. Imagine a world carved from stone and gilt in gold. Visually futuristic, this realm conjures an alternate world where ancient gods live among mortals. This coexistence between beings existed so long as there was peace, but the trust between man and god has been shattered by hubris, jealousy and betrayal as the destruction of all creation dawns nears. 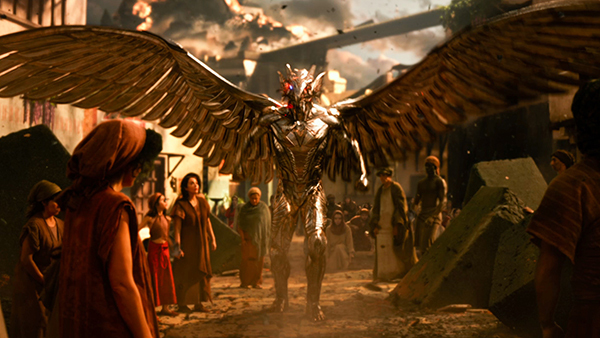 Visionary director Alex Proyas has created an otherworldly Egypt, beyond time and history, in which moviegoers voyage through dazzling cityscapes, mythological characters, and epic heroism in this pulse-pounding, fantasy action-adventure. Proyas envisions a completely unique, one-of-a-kind world by combining the timeless art of storytelling and the latest in digital cinema technology. 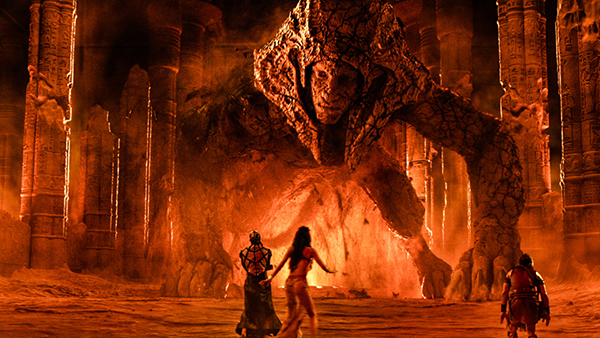 “Gods of Egypt” also brings an impressive cast of immensely talented and engaging actors such as Geoffrey Rush, Elodie Yung, Chadwick Boseman Abbey Lee, Yaya Deng, Courtney Eaton and Rufus Sewell. Gods of Egypt will open this February 24 in cinemas nationwide from Pioneer Films.